The two exchanges reckon their merger can create 250 mln euros of new revenue – eventually. But there are plenty of hurdles to delivering the goods, from a potential Brexit to the 20-plus regulatory approvals needed. The inherent slipperiness of boosting sales is a poor lure. its planned merger with German peer Deutsche Boerse could result in 1,250 job cuts across the combined group and should eventually lead to 250 million euros ($279 million) a year in extra revenue. 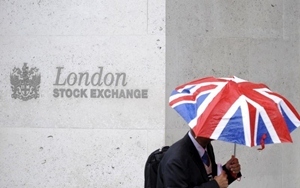 LSE and Deutsche Boerse said their boards expected that the extra revenue would be achieved in the fifth year after the completion of the transaction, with approximately 160 million euros achieved by the third year. They added that there could be scope to create at least 550 new jobs over time. The companies had earlier said they hoped to achieve around 450 million euros of annual cost savings.